Meet Arachne Press author-editors Cherry Potts and Katy Darby for a chat about Science Fiction and Fantasy written by women, and their own writing. Cherry and Katy have both published short stories in these genres, and edited forthcoming We/She, an Arachne/Liars’ League all women collaboration which features a sinister carpet, two dragons, a mermaid, sentient dolls and fictional dead women coming back to haunt their creator. The evening will include readings and an opportunity to buy books and ask questions (PLEASE ask questions! 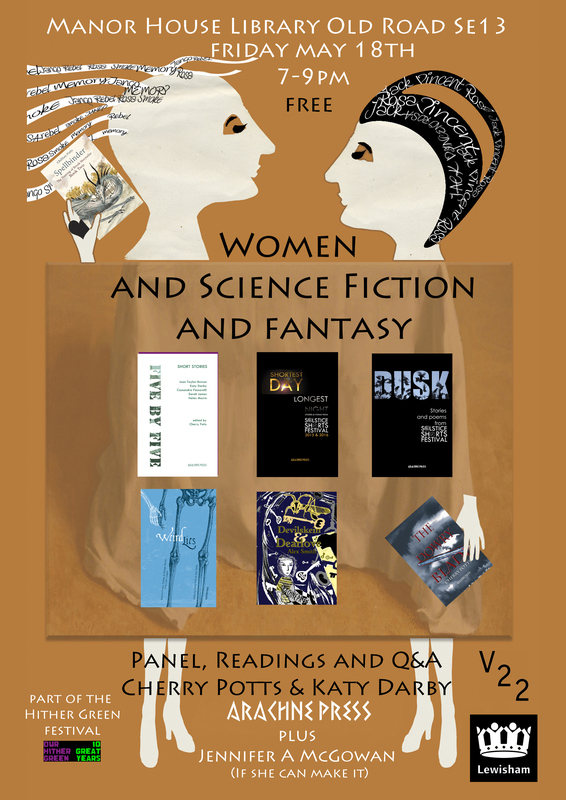 ), and Katy and Cherry will talk about their favourite women SF/F writers and what got them started on writing speculative fiction.